On March 27, 2019, CD Projekt released the financial results for fiscal 2018 and shared a number of internal figures ranging from the number of employees to the distribution of The Witcher 3 sales across hardware platforms. The net revenue of the CD Projekt group in 2018 was about € 25.4 million, which is roughly half as much compared to 2017. This is due to two main reasons. Firstly, the company experienced a significant decline in sales, despite the two new releases (Gwent and Thronebreaker). Secondly, the development costs increased by 70%. As far as sales are concerned, in 2018 they amounted to € 85 million. Again, it’s not on par with 2017 when the company earned € 109 million. The new releases didn’t fare so well, and the dwindling sales of The Witcher 3 didn’t help either. Notwithstanding the above, CD Projekt’s assets keep growing. As of the end of 2018, the company had € 262 million on its accounts. By March 2019, the market value of the company reached € 4.1 billion. CD Projekt employs 887 people. 698 work in CD Projekt RED (400 are working on Cyberpunk 2077, and 100 on Gwent) + 189 GOG.com staff. Staff turnover is 13%. The current average tenure is 2.5 years. 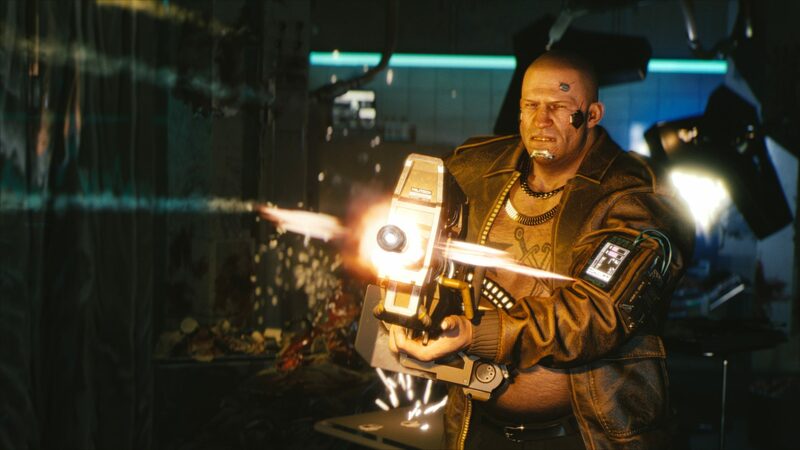 In addition to Cyberpunk 2077, the company plans to release another AAA game until 2022. 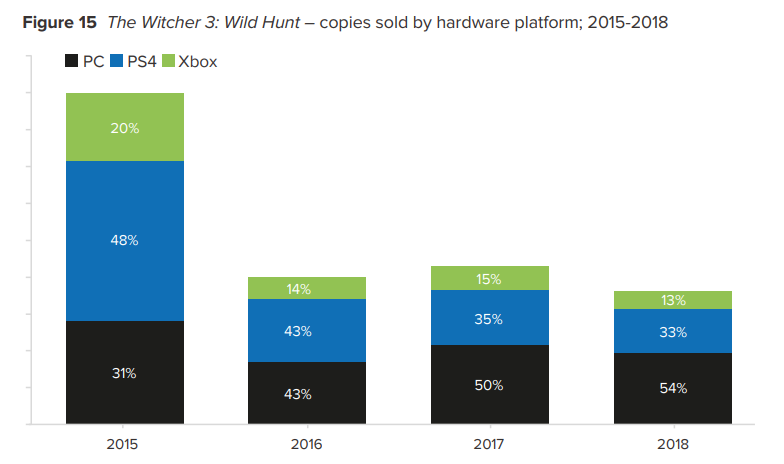 The Witcher 3: Wild Hunt sold most copies on PC and PlayStation 4. The Xbox One version has been lagging behind over the recent years. 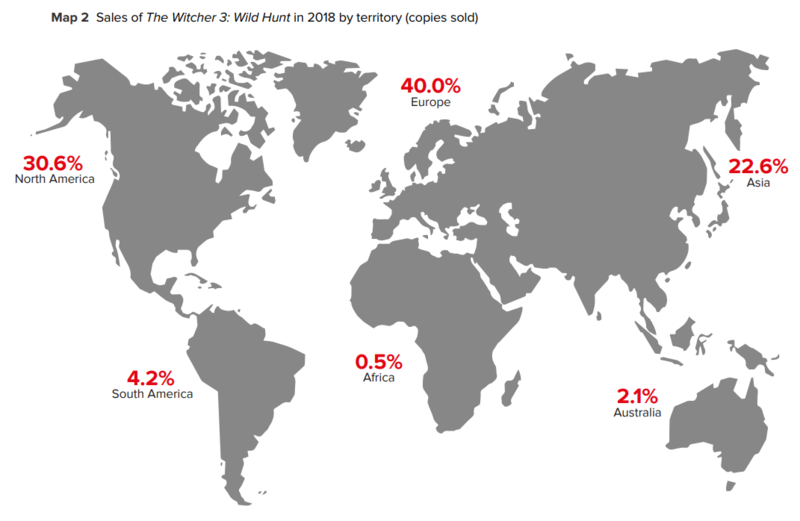 The largest number of The Witcher 3: Wild Hunt copies was sold in Europe – 40%. CD Projekt has very high expectations for Cyberpunk 2077. It is partrly due to the viewership of the game trailers on YouTube (50 million total views). This is in contrast to the Witcher 3, which comparatively showed modest results. There are currently 2,700 titles on GOG.com. Sales peaked during summer sales campaigns, as well as on May 4, which is Star Wars Day. Sales volume also increased in November around Black Friday and Cyber Monday. Most of GOG.com’s sales are in the United States and Germany.